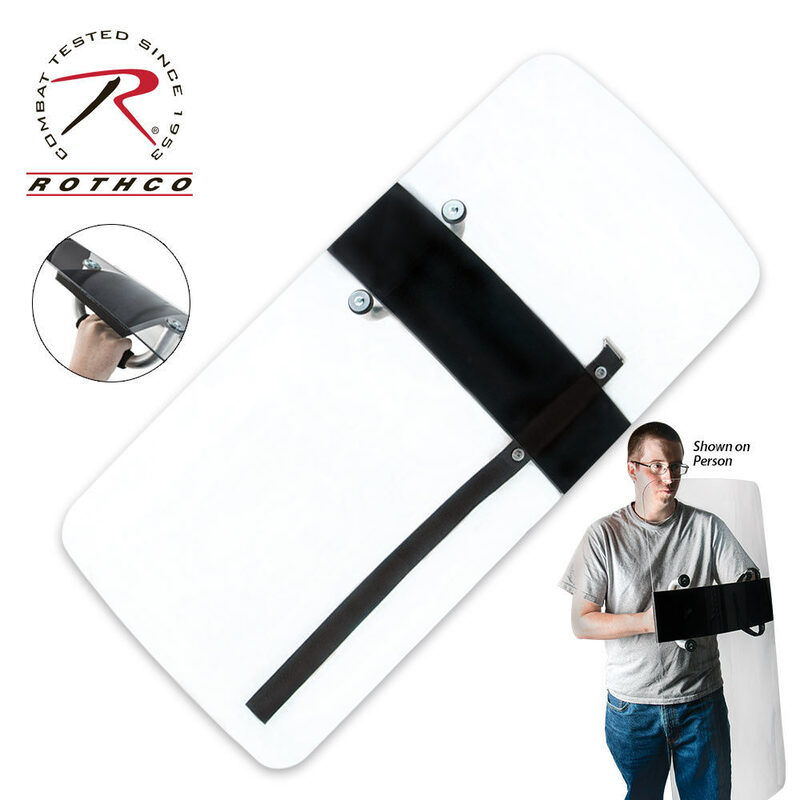 This is the same type of riot shield used by many police departments as part of their anti-riot gear. Made by a GSA Compliant manufacturer, the only difference between this shield and the shield our manufacturer sells to police departments is the lack of a blue/silver "POLICE" banner on the front. 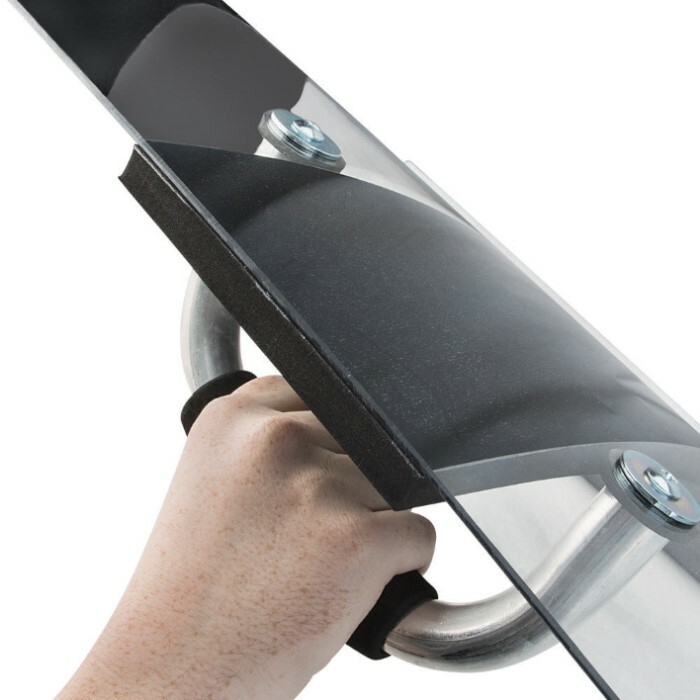 This riot shield is constructed from tough polycarbonate and is designed to deflect many common melee and projectile based attacks, including batons, rocks, fists, kicks, clubs, bottles, acid, and more! At 40 in. tall and 20 in. wide, this shield offers full torso protection. The back features a solid cast aluminum handle and arm strap. Designed to be held for extended periods, this shield weighs 6 lbs. Please note: While extremely tough, this shield is not bulletproof. It does what it describes and the handle is easily screwed in. I had a problem with my shield being delivered with surface damage in two spots but this does not effect the job of the shield. I even swung my Cold Steel bokken at it with considerable force and my bokken took some damage. It is also very light and easy to move with.